Shredded red and white onions stewed with mustard seeds for texture and crunch. Lime juice and rind lift the natural sweetness of the onions. It is more oniony than onion marmalade but can be a perfect substitute. The soft caramel sweetness is excellent with cheese on toast or toasted sandwiches. 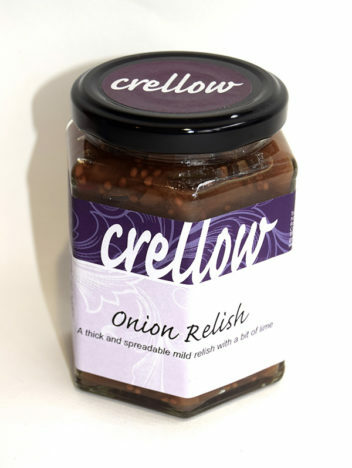 Use it as a glaze for grilling sausages or as a handy addition to making gravy and casseroles.